(Macadamia nuts: 1 cup) – 962 calories. 101.2 g fat. 10.6g protein. She could have had 1 cup of m&ms or 2 Friendly’s hot fudge sundaes or 3 McDonald’s cheeseburgers or 4 Subway chocolate chip cookies. Needless to say, she wasn’t pleased. True the majority of the fat is Monounsaturated Fat 78.9g the “good” fat. But as I said in a previous post, too much of a good thing is still too much. Since the most fat she is supposed to consume per day is about 42g – 50g …ugh. They are full of heart healthy unsaturated fat. Walnuts are full of Omega 3 – essential fatty acids. Almonds are full of magnesium, potassium, vitamin E and calcium. I could go on. But the important thing to know is that a little goes a long way. Go nuts, but be sure that you only eat one serving size so you can stay on track. That goes for other healthy food as well. Even though what you eat is considered healthy, you must pay attention to portions. Otherwise those healthy foods will work against you. Raw Almonds: 1/4 cup – 180 calories. 15g fat. 6g protein. Walnuts: 1/4 cups – 170 calories. 16g fat. 4g protein. Raw Cashews: 1/4cup – 163 calories. 12.3g fat. 5g protein. Peanuts: 1/4 cup – 207 calories. 17.97g fat. 9.42 g protein. 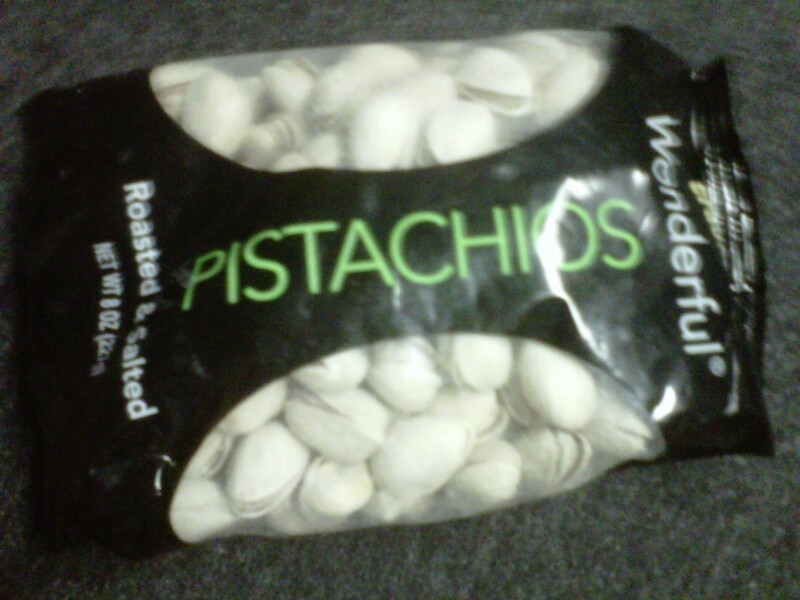 Pistachios: 1/4 cup: 171 calories. 13.67g fat. 6.34g protein. Macadamia nuts: 1/4 cup – 200 calories. 21g fat. 2g protein. Pecans: 1/4 cup – 210 calories. 21g fat. 3g protein. 2 Responses to Aw, Nuts! Great! It can be really easy to over eat healthy food and sabotoge yourself.